Coffs Harbour City Council has created the Digital Innovation Challenge (the Challenge) which is designed to inspire budding entrepreneurs to create and pitch their innovative digital solution for business and provide them with the prize money and support they need to make it happen. Your pitch must involve a digital component within the business solution – be it using software, web, mobile, app, telemetry, cloud, analytics, sensors or other such enabling technology. It is open to any type of business solution or market need. For example, it can be a business2business solution, consumer application or a social enterprise. As part of the Challenge we have developed a series of events and workshops to SUPPORT the development of business ideas and pitches to make sure that all entrants have the best opportunity of winning. Finalists will each have 5 minutes to pitch your idea (the Live Pitch) to our judging panel followed by questions from our panel to allow them to evaluate your entry. The Challenge is being run by the Coffs Harbour City Council (the Promoter), 2 Castle Street, Coffs Harbour NSW 2450. Entry is open to any individual or team entrant with the condition that at least one member of the team must reside in either the Coffs Harbour , Bellingen or Nambucca Local Government areas. Employees and immediate family members of the Promoter and our Sponsors are ineligible to enter the Challenge. Entry into the Challenge will be deemed as acceptance of these terms and conditions. An entry will only be eligible for the Challenge where it complies with these terms and conditions in every respect (Eligible Entry). To enter, Eligible Entrants must within the Entry Period complete an entry form. Where the Eligible Entrant is a team, then all team members must enter on the one entry form. Where the Eligible Entry is a team, the person nominated as the first entrant on the entry form will be awarded the prizes on behalf of the team. All entrants under the age of 18 years of age agree that they have sought and gained their parent or guardian’s consent to enter the Challenge on these terms and conditions. Incomprehensible, illegible or incomplete entries will be deemed invalid. No responsibility is accepted by the Promoter for late, lost, incomplete, illegible or misdirected entries. The entrant/s represents and warrants that the work is the entrant/s sole original work. The entrant/s warrants and agrees not to submit in the Challenge any photo, image or any other materials which constitutes a breach of a third party’s privacy or infringement of a third party’s intellectual property rights including copyright or trademark. The entrant/s warrants that the Promoter’s use of the entrant’s entry, including photos, images, biographical and any other materials submitted by the entrant, will not be in breach of any third party intellectual property rights including copyright or trademark. The entrant/s indemnifies the Promoter against any loss resulting from breach of these warranties. Selected finalists must be available to participate in the Live Pitch on 18 June 2016 between 12.00pm and 5.00pm. Where any event, outside the control of the Promoter prevents or significantly hinders the Promoter’s ability to proceed with the Challenge on the dates or in the manner described in these terms and conditions, the Promoter in its absolute discretion may cancel, terminate, modify or suspend the Challenge. Any changes to the Challenge will be notified to entrants as soon as possible by the Promoter. There is no entry fee to enter the Challenge. There is no limit to the number of entries that can be submitted by an individual or team. 7. HOW DO I CREATE THE BEST PITCH? 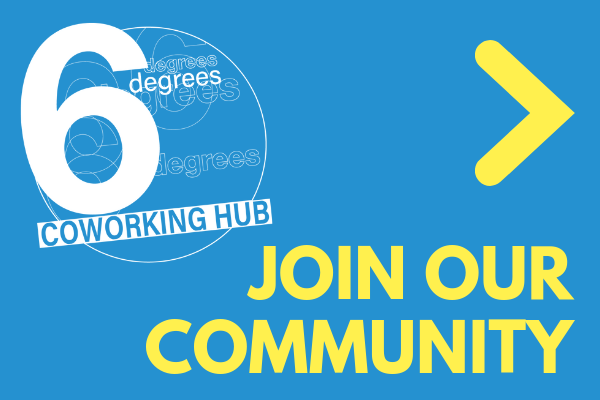 Attend workshops at Six Degrees, access support material online, work out of six degrees, find a mentor and apply the learning to your pitch. Finalists will be announced on Friday 3 June 2016 and it is a condition of entry they be available for the live pitch on Saturday 18 June 2016. The finalists and prize winners agree to grant the Promoter, at no cost to the Promoter, a three year, worldwide, non-exclusive licence to use their name, biographical details, image and Challenge submission for promotional purposes relating to the Challenge including promotional purposes relating to any future Challenge competition. Ownership, moral rights and copyright remains at all times with the entrant/s. Personal information submitted by an entrant will be used for the purpose of administering the Challenge and for any other purposes referred to in these terms and conditions. The conduct of the Challenge and these terms and conditions are governed by the laws of New South Wales. By registering and submitting an entry in the Challenge, the entrant/s submits to the exclusive jurisdiction of the courts of New South Wales.